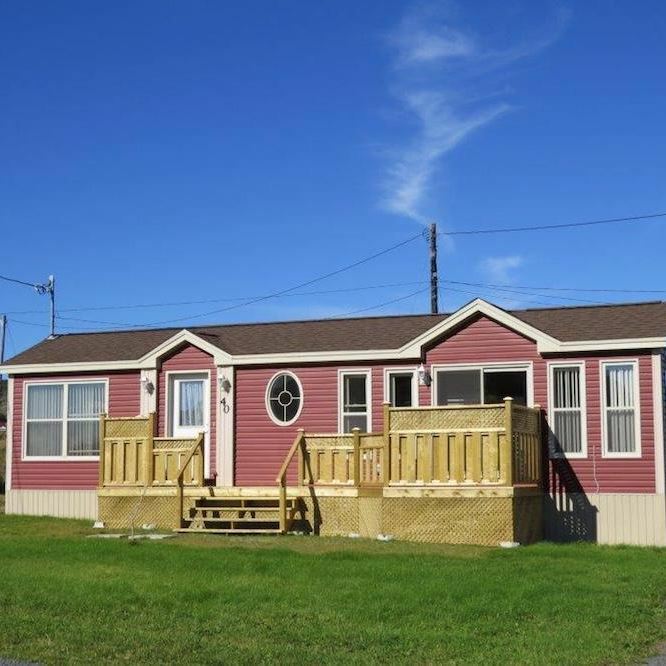 Crimson Sky Cottage is located in beautiful, scenic Back Harbour, Twillingate, NL. Cozy and charming, this 528 sq. ft. mini home has all the amenities you will need for your vacation getaway. Steps away from colorful fishing stages, the ocean, and a hiking/walking trail. Minutes from museums, lighthouse, restaurants, dinner theatre, boat tours, art galleries, and entertainment. Stroll along the beach and breathe the clean salty air. Sit on the deck and enjoy a beautiful sunset, which Back Harbour is known for, and you may also, be lucky enough to view an iceberg. Check out our stock of brochures and take in as many events and attractions as possible to get a real feel for rural Newfoundland. Free wi-fi, and cable t.v. The scenic sunsets in Back Harbour that has lent its name to our cottage. Colourful fishing stages just seconds away. A few steps to this view. Chair for two, to admire the view.